Rustom Collection and box office earnings report for 4th / 5th day and 15th August: Rustom of Akshay Kumar opens great on the box office, as the collection touches 14 crore rupees on the opening day as weekday was a great positive. Akshay had various 100 crore films till now, Rustom stays one of the most talked about film. The weeks’ box office was dominated by two superstar’s films. On the one side, there was Akshay Kumar starrer ‘Rustom’ and on the other side there was superstar Hrithik Roshan’s ‘Mohenjo Daro’. Both the films somehow fights with each other on box office but also comes as a companion to each other. Many theaters are offering shows one after another which is creating anxiety among the audience. Fans of both the stars are almost of common ground and shares similar type of preference. On one side, Mohenjo Daro is an epic based on untrue events and on the other side ‘Rustom’ is a film based on true events. Rustom wins the side with more positive reviews in comparison. The notable thing is, both the films didn’t has any mainstream bollywood actress. 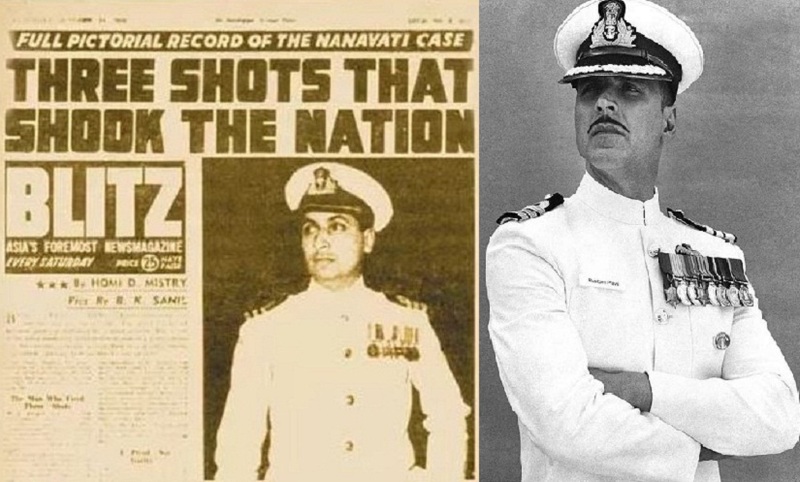 Rustom collection however sustains much better than of opponents. On the scores of Pre buzz release and opening day collections, Akshay Kumar remains the bollywood star of the month. Having release near independence day was also a positive thing. The film was landmarking for all the movies who struggles to enter in bollywood with a big blast. The film was observed doing good business in Punjab, UP, Maharashtra and Central India. The occupancy on the opening day remains quite moderate. With over 40% overall takeover on the market, the movie stays at no.1 position during the Friday. The metrics were positive from very beginning. Rustom 1st Weekend Box Office Collection stands at 50 crore rupees till Sunday. On Monday, Rustom collection stands at 17 crore rupees according to initial reports. Great akshay Paji u always rock with great script .